Truth be told, you don't really need a recipe for a simple salad. Not a fan of peppers? Use onions. Want chicken instead of black beans? Do it! Salads are totally customizable. Make them what you want and let us know about the awesome combinations you find. 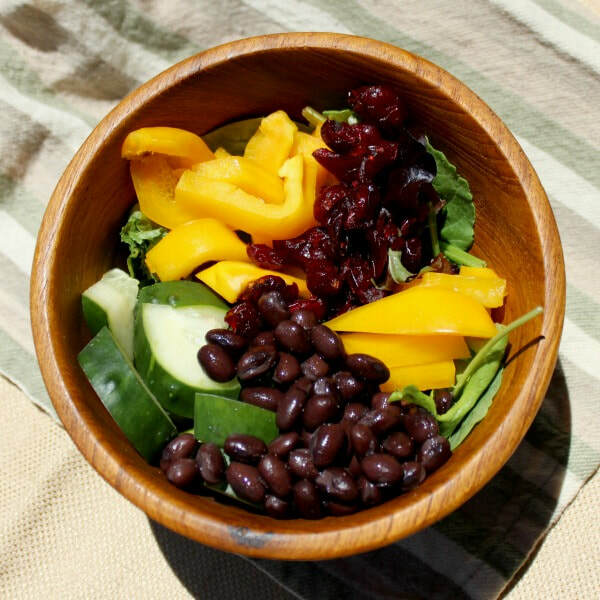 Mix all ingredients in bowl and enjoy! Add a teaspoon of oil and a teaspoon of vinegar if you want dressing!